Thyme tea is usually a more savory way to enjoy a healthy herbal beverage, as the essential oil is an invigorating flavor that’s used for many medicinal, culinary and cosmetic applications that require an antiseptic or purifying element. What is Thyme Good For? What Are the Benefits of Thyme Tea? In ancient history, thyme was used by the Romans for flavoring alcohol and cheese, as well as using it as a cure for shyness and melancholy. The Egyptians used this aromatic herb for embalming the dead, while the Greeks perfumed their bath water with thyme and used it as an incense in their temples as well as in treatments for respiratory conditions. In the 1340’s, thyme posies were worn for protection during the Black Death in Europe and when placed in pillows or between sheets, it was believed to ward off nightmares. 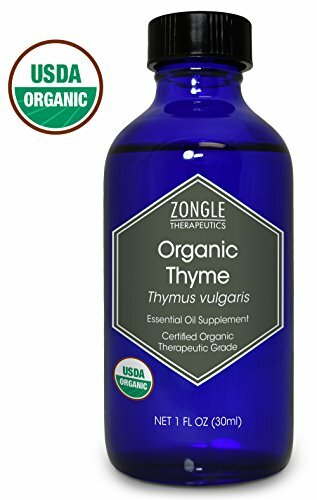 The thymol content in this herb acts as an insect repellent and is used to scent perfumes, deodorants and soaps, along with mouthwashes and hand-sanitizers. 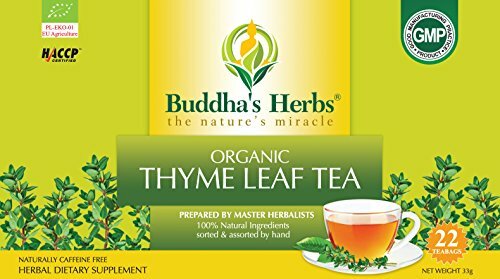 What is thyme good for in terms of culinary applications? Being a common inclusion in a bouquet garni and herbes de Provence, thyme has a pungent and herbaceous aroma that pairs well with strong meats and olives, as well as preserving them. Some tea sippers only accustomed to the regular varieties of herbal tea might be a little daunted by the concept of tea leaves and thyme. With a flavor that is robust and earthy, the addition of lemon, honey and other sweeteners might be advisable, unless you like the distinct taste of thyme tea. Thyme tea benefits mostly center around the antiseptic and antibacterial properties contained in the herb, which was beneficial for medical bandages before antibiotics were discovered. It might be easier to discuss what thyme isn’t good for, as there are so many useful applications associated with it. From treating bed-wetting, diarrhea and toenail fungus to curing respiratory problems such as bronchitis, thyme tea benefits make it a great all-rounder in the herbal medicine cabinet. If you’re wanting to know more about the answer to the question “what are the benefits of thyme tea?” read on for a summary, which is by no means an exhaustive list. This tea can also be used as a poultice or taken internally for conditions such as eczema, yeast infections, acne and can also be used as a diuretic. There are a variety of ways to prepare any herbal beverage, depending on your preferences. If you’re nervous about the flavor, a basic thyme tea recipe could include tea leaves and thyme, to ease your way into drinking this earthy herb. For one cup of tea using fresh sprigs – Place 3 sprigs of thyme (chopped or whole) in the cup and pour nearly boiling water over the herbs and cover, to keep the goodness in. Steep for about 10 minutes and then strain before drinking. For one cup of tea using dried thyme leaves – Place 1-2 teaspoons of the herb in a tea pot or tea strainer, then cover with near boiling water, cover and steep for at least 5 minutes. Strain and enjoy. Using tea bags might be an easier option for beginners and adding a slice of lemon, ginger and/or honey can elevate the flavors, unless you’re a purist and don’t mind the aromatic taste profile. If you’re wondering how to make thyme tea more palatable for children, try adding pieces of fruit for a refreshing and healthy drink, hot or cold. You might be surprised at how savory and delicious this useful herb is, not only for cooking, but as a lovely herbal beverage.